NSW DPI is currently investigating a suspect report of a large earth bumblebee in Sydney. We need your help to report suspect sightings. If large earth bumblebees were to establish in NSW they could increase the spread of many weed species. They can compete with honeybees for floral resources. 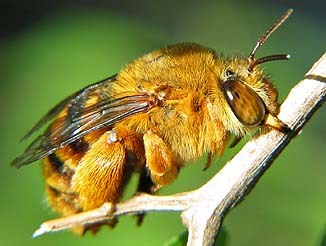 This can negatively impact honey production for both amateur and commercial beekeepers. They also impact the natural environment by competing with nectar-gathering birds. 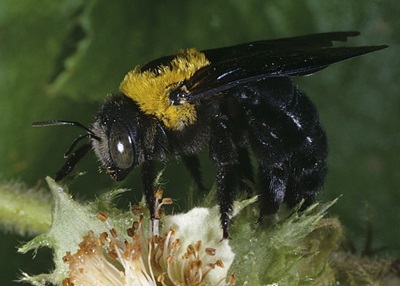 Large earth bumblebees can sting repeatedly; venom can cause severe allergic reactions in some people. 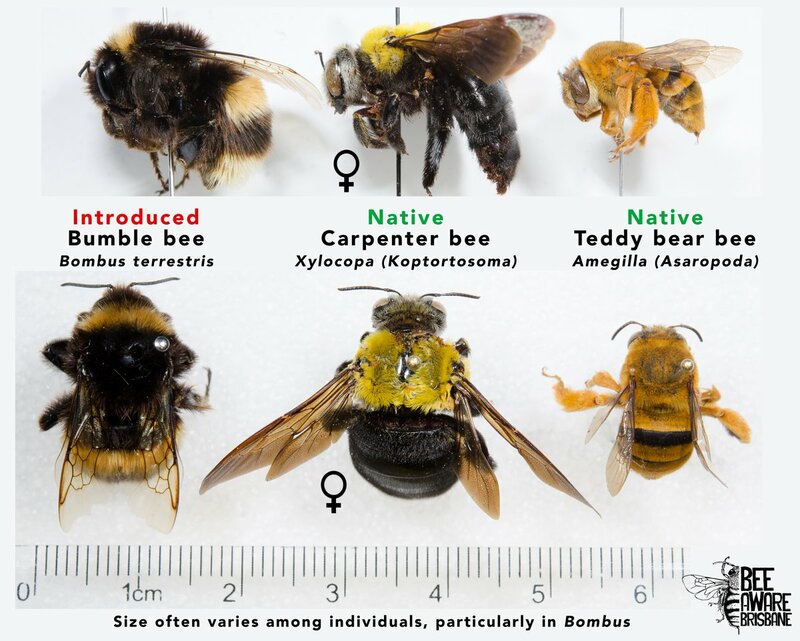 Bumblebees (Figure 1) can be confused with native carpenter bees (Figure 2) and teddy bear bees (Figure 3). If you think you see a bumblebee in NSW a photo can be sent to biosecurity@dpi.nsw.gov.au. Please include your contact information and where the bumblebee was sighted. The large earth bumblebee (Bombus terrestris) is widespread in Tasmania but is not known to be present on the Australian mainland. Large earth bumblebees are an invasive exotic bee from Europe and are much larger than honeybees with a distinctive loud buzz when flying. 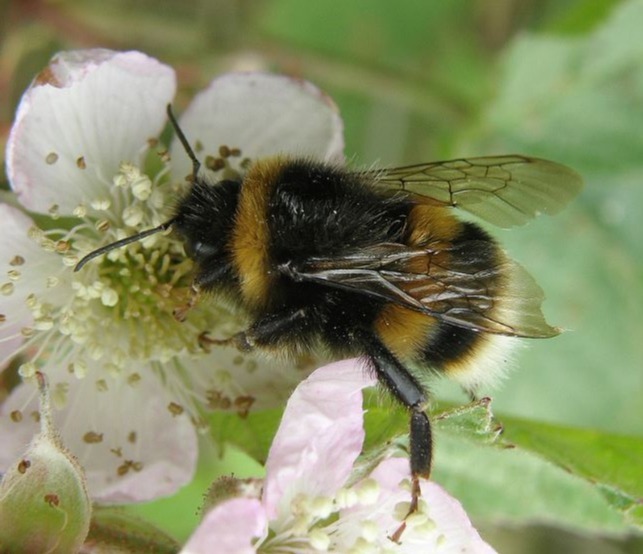 If you see bumblebees in your area, try to take a photo of the bees. If safe to do so, capture a specimen and put it in your freezer. Freezing euthanises specimens and preserves them if they need to be provided to an entomologist for identification.